I met Jess and Chand at a wedding I was shooting in place of my Uncle-in-law. He wasn’t too well at the time so I offered to help in any way I could. That wedding was the gorgeous Sarah and Ben and I remembered Jess. This is because she and Sarah killed it on the dancefloor!! Jess got in touch a while after the wedding, booked and then this magic happened! A stunning mix of Indian tradition meets English countryside at the gorgeous Norfolk Barn Wedding at Godwick Great Barn! This is a fantastic venue with amazing staff and I cannot wait to be shooting there again soon. 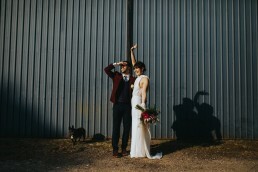 As for Jess and Chand just look at their awesome day below! Tractor rides and Barn dancing, fire pits and feasting. Is there a better mix for a wedding?